We live in a great time for hotrodding. We have access to a level of technology and information never before seen in the car world. Engines are making more power, computers are getting smarter and easier to use, and safety and suspension components continue to keep us glued to the road. Sometimes, it means we get a little consumed by all of our gadgetry and forget some of the basics. Like how to check an ATO fuse. Most specifically, how to check a fuse that is still installed in the fuse panel. 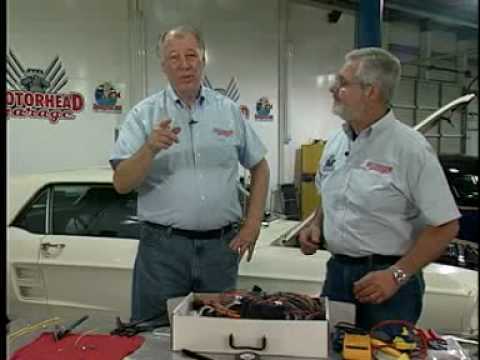 Most folks are aware you can check a fuse visually or with a ohmmeter outside of the car. Not everyone knows you can also check a fuse when while it is installed. It’s an easy process with either a test light or multimeter. Simply attach your test light (or black lead on your meter) to a good ground, and touch the probe (or, in the case of a meter, the red lead) to the exposed metal tabs on the top of the fuse. A good fuse will show power on both tabs when the circuit you’re testing is energized. If you only have power on one side, it means your fuse is blown. If you have no power on either side, it means the fuse has no power at all. This information won’t fix whatever caused the fuse to blow, but it is much quicker than pulling each fuse in a panel to check them individually. And speaking of gadgets, our Intelligent Fuses make it easy to tell when a fuse blows. The appear normal when installed, but illuminate when they blow to make inspection easy. Check them out for vehicle-specific kits, or individually!